I am dedicated to providing you the most up-to-date market data in the area. My team is made up of caring, knowledgeable professionals that work tirelessly to help you with the home buying and selling process. Leticia did a beyond excellent job of negotiating and interceding for us with the seller's unpleasant realtor. As renters purchasing the property we had lived in for several years, the seller and their realtor knew they had the advantage and intended to make sure we got no consideration or concessions. 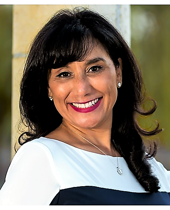 Leticia put a stop to that mind set immediately and fought for our interests, kept us informed, helped us make decisions, and took the brunt of the other realtor's rudeness so that we didn't have to deal with it. She made sure we knew our rights and made sure the other realtor respected those rights too. All of this was accomplished by Leticia with genuine warmth, good humor, and the utmost professionalism. I am very grateful for all of the time and effort Leticia dedicated to our transaction. She handled everything and helped us every step of the way. She sought the best solutions and made sure we were aware of our options for financing, repairs, VA benefits, Escrow, and countless other details throughout. On a more personal note, Leticia is a warm, caring, kind person with a wonderful sense of humor. I feel as though we not only met a great realtor, we made a great new friend! I will be recommending all of my military acquaintances to Leticia in the future, as she has show that she is devoted to giving the best deal to whomever she deals with. I interviewed several others that included some veterans specialty brokers, but the process seemed too disjointed, and the rep. didn't seem to be knowledgeable enough to direct me to more immediate information I needed. Some of the others were too inexperienced for the area when I was looking for longevity, and local experience. Once I finished interviewing Leticia, I found she had all of which the others didn't, while also being timely, and attentive to my busy schedule while deployed. It may seem like a click down the blocks on excellent as 'lazy' reviewing, but in all honesty for someone that was representing both me as the buyer, and Richard as the seller, she managed to maintain an amazing amount of neutrality during which she made the perfect amount of compromises to satisfy myself, and the seller. The research, and attention to detail astounded me, as I have only ever heard of negative things from realtors in my past. She has changed my view for the most part, of realtors. Leticia was always as available as she could be, and responding as soon as possible. Calling whenever I had major questions, or even minor ones to explain everything in detail to the best of her ability. As overbearing as it was, I would count it as a positive to have it, rather than not to at all. Leticia is Fantastic! She is a strong real estate agent who has helped me get the best deals imaginable for the past several years. My properties have gain more equity compare to my peers who have used other agents. If there is a foreclosure sale or short-sale, she is the one you want by your side, she's exceptionally well-verse in this niche. Also, she is an exceptional Seller's agent, once you ask her to sell your house, she's got it listed right away and is already in contact with her network of peers and purchasing clients. Take it from me, she's the one you want to take care of your real estate needs, she won't let you down. Leticia Rosa made a difficult estate sale of my mother’s home stress free and easy. She sold our family’s property in a short period of time for fair market value. Leticia was attentive to the needs of my family and very knowledgeable about the market in our area. She was phenomenal during the entire process from listing the home to closing the sale of my family’s home. I highly recommend her to all of my family and friends. Making the video, using the drone, to show the house details was an excellent touch. It gave me a nice feeling when I saw my house being showed at its best. She makes sure to let you know what to do to bring the best of your property. She is great in every thing that she knows about selling properties. Thank you Lety.